I’m a bit addicted to salted caramel right now. Remember these Salted Caramel Truffles from last week? Yeah, they pretty much started this whole thing. Not that I’m complaining, because it could be a worse addiction. 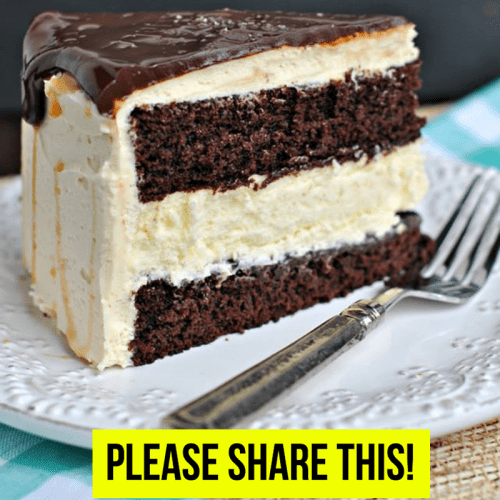 Last year I enjoyed making several cheesecake cake recipes. Remember the eggnog version? I die.